Can you imagine having your city as a single, integrated system? Please insert your details. We'll get in touch with you very quickly. Meet Ubiwhere’s Urban Platform! An innovative solution that provides a global and integrated view of cities. An easy and very friendly platform that allows you to manage your city, whether you are responsible for traffic and mobility, safety, infrastructure or high-level decision making. You don't need to stare at complex information. We give you every detail, as if we were your personal counselor. Occurrences and incidents effective response. Efficient environmental monitoring and thorough analysis. Energy efficiency and consumption monitoring. 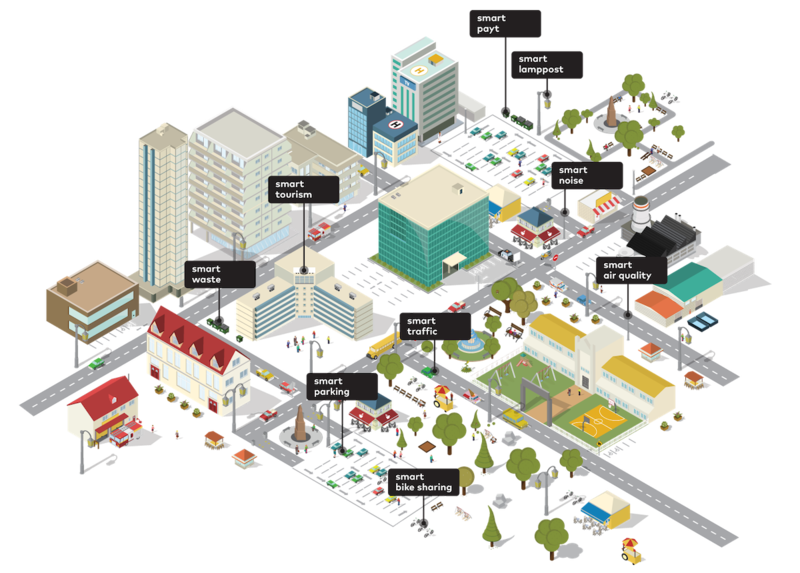 Holistic Parking and Traffic management. Standard Indicators for city services and quality of life. Our Urban Platform offers decision-makers a Holistic view of their cities, presenting effective insights based on the cross-domain data processed in a unified way. We have the innate desire of changing the World. That’s why we create, design and develop solutions that improve people’s lives. Day by day, our multi-skilled team works to bridge the existing gaps in the market. Our company is committed to create smart solutions for smart cities in areas such as mobility, tourism, energy and efficient resource management. We embrace interoperability, Open Data and smart cloud-based services as fundamental components of what we do. The new headquarters in the bright city of Aveiro. Our clean, minimalist and sunny headquarters have brought a new energy and a more welcoming workplace environment. With a simple and open space design, our departments can easily communicate and bring ideas to life. Aveiro is our home city, but we have a special tenderness for Coimbra, Porto and Lisbon, where we also have offices. Ubiwhere is focused on Research and Innovation of software-based solutions in the areas of Smart Cities, Telecommunications and Internet of the Future.